Syndicate Bank was set up in India in 1925 and it was nationalized in 1969. Since then the bank has come a long way in terms of revenue, market share and technology. The headquarters of the bank is in Manipal in Karnataka. The bank has over 3500 branches across India and it even has an international branch in United Kingdom. On several occasions, the bank has been honoured by the award of Best Bank Award. The bank also contributes in the field of academics as the bank has a tie up with Manipal University. In the article, we have listed the ways by which you can check the Syndicate Bank account balance without visiting the Branch. 1. To check the balance through Missed call, you should be registered for the Syndicate missed call banking. In case you are not registered for the service, you can do so by simply by sending SREG<Customer ID> to 9210332255. Once you are registered, you will receive a confirmation message about the same. 2. If you are a registered user, simply give a missed call on 9210332255 and the balance details will be send via SMS on the same number. 1. To check the balance through this method, all you need to do is, browse to https://www.syndonline.in/ and click on net banking at the bottom of the page. You will be navigated to an instruction page. Go to the bottom of the page and click on continue to login, or use direct link https://www.syndonline.in/B001/ENULogin.jsp. 2. Once the login page is loaded, enter the 'user ID' and the 'password' and click on the login button to get an access to your account. 3. You will be redirected to the main page of your account and you can view your bank balance as well transactions activities on the page. Note: Do not forget to logout after checking the balance. 11. To check the balance through mobile app, first you have to activate Syndicate Mobile banking. Install the application on your smartphone and register to use the app. This is a onetime registration. 2. Now, enter the password to login to the mobile app. From home page, select your account number and click on the 'get details' button. 3. 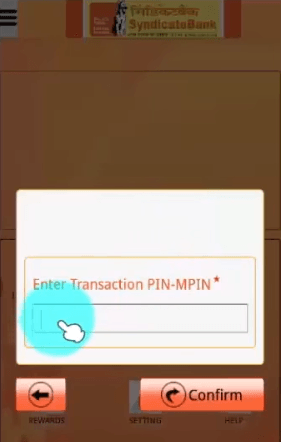 Now app will ask you enter Transaction PIN-MPIN. Enter MPIN and click the 'confirm' button. 4. The account balance will be displayed on the screen of the application. Similarly you can see mini statement. To check the balance through an ATM Machines, visit the nearest ATM along with your card. Swipe the card and enter the pin associated with the card to get the access to main menu. From the main menu, select Banking Service and click on 'Balance inquiry' on the next screen. You will be prompted by a message asking if you want the printed receipt or not, click on yes or no and the balance will be displayed. You can also obtain the mini statement from the ATM in similar way. So these are four possible methods to check Syndicate Bank account balance, without visiting a branch. If you know any other easy method, share with us via comment. syndicate bank balance check through the missed call. syndicate bank balance check through missed call. 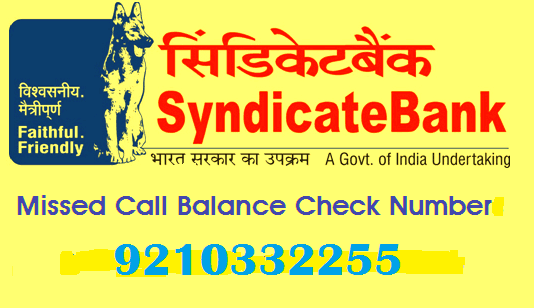 How to register my mobile number in syndicate bank for balance enquiry. 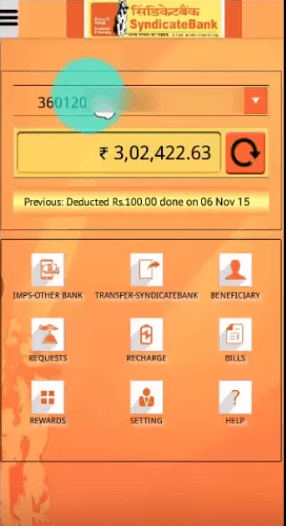 how to check syndicate account balance using the app. Please update new number by visiting branch. Please link my mobile number to syndicate bank account for balance enquiry. how to enter user ID and password..Procedure for registration and password. 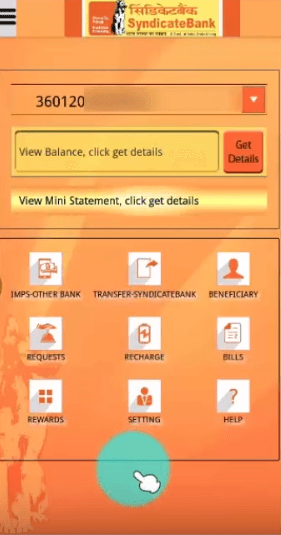 How to register for balance enquiry bank of baroda? how to create syndicate missed call alert account. I have lost my mobile number registered with a bank account. syndicate bank toll free number customer care is not working..
How to register mobile number for balance enquiry for Syndicate Bank.